This week in science, we continued to learn about our human body. We started learning about our digestive system and what happens to our food after we eat it. 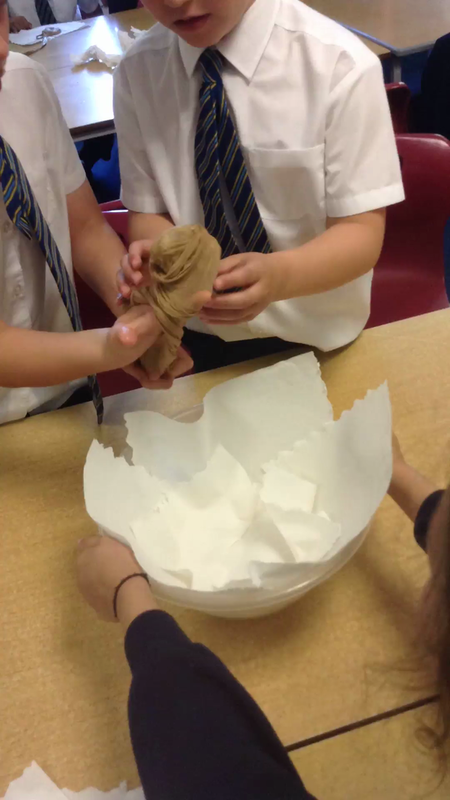 As part of our learning, we got stuck in to a practical investigation where we recreated the digestive system. 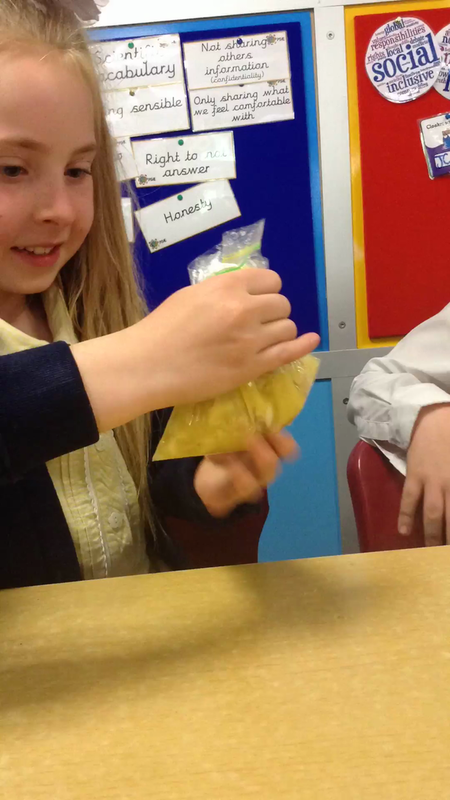 We used bananas and crackers as the food and then god orange juice for the acid in our stomach. We then crushed up the ingredients like our stomach would. The food then passed into our small intestine (tights) to start extracting all the important things our bodies need to function. 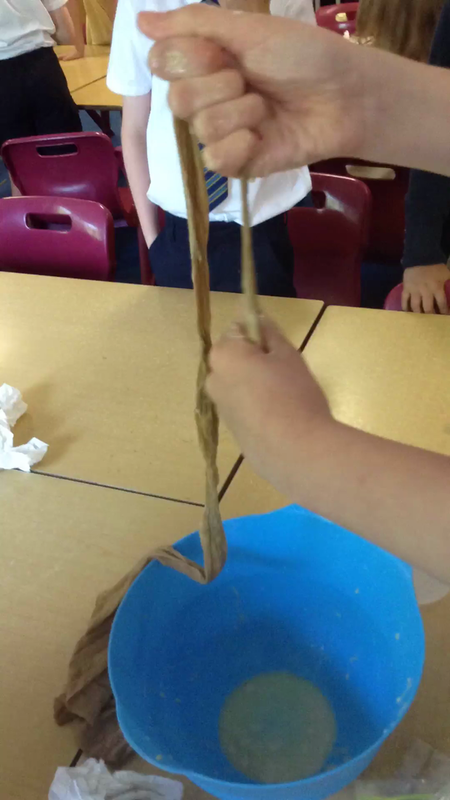 Once we’d done this we dried out the food in a large intestine (paper towel) and used a bag to excrete the waste from our body.